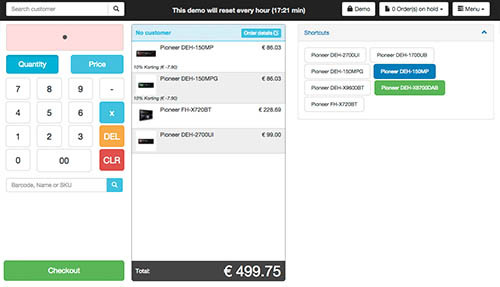 You can test our Point of Sale and the synchronization with the webshop in our demo. All demos refresh every hour, so feel free to try whatever you like. 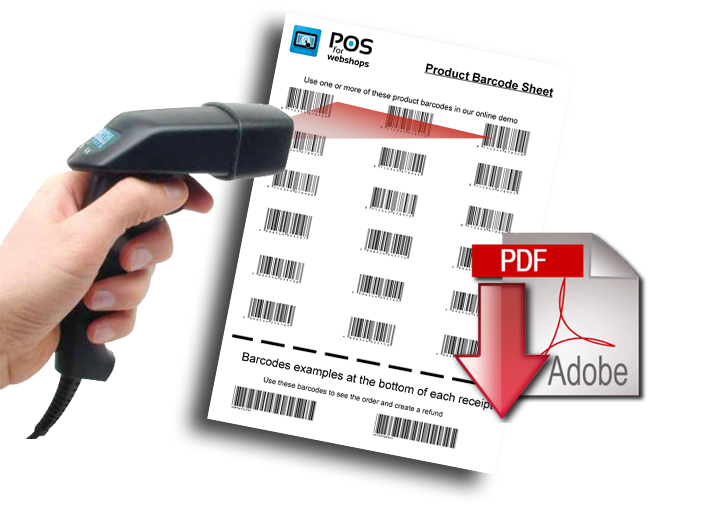 If you have a barcode scanner you can use our barcode sheet to scan products or orders. Klick on the PDF icon to download the barcode sheet. Try the Point of Sale to place orders and see the working of the POS. 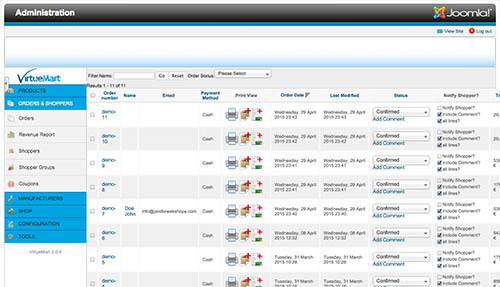 Then you can check the backend of Virtuemart to see how the orders are stored. Try the Point of Sale to place orders and see the working of the POS. 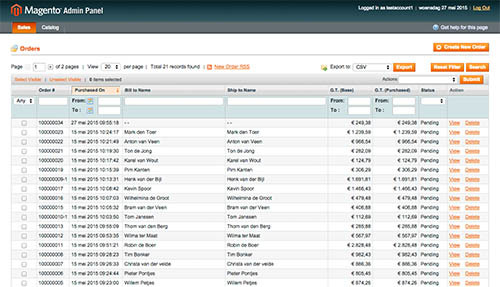 Then you can check the backend of Magento to see how the orders are stored.